Home » News and Views » Lost Money Trading CFDs or Spread Betting with an Advisory Broker? By Alan Green in News and Views on 4th May 2018 . In that case you will want to speak to Money Back CFDs. We represent individuals who have lost money trading CFDs or Spread Betting with an advisory broker. Most people we speak to who have traded CFD’s, or who have placed a Spread Bet with an advisory broker have lost money. CFD’s and Spread Bets are high risk trading products that should only be available to experienced traders and sophisticated investors. It is a matter of great concern to us that most of the individuals we speak to are wholly unsuited to this high-risk trading instrument. As a matter or record these people should not have had access to the product in the first place. During the last year both the FCA and the ESMA have both criticised the product and the behaviour of the brokers. Both regulators are now in the process of taking action across the CFD/Spread betting industry. In most cases the firms involved have over exposed or over traded the client, without the client’s knowledge, approval or in many cases understanding. Some individuals we speak to believe they understood the risks involved. Even if this were true, in many cases making money on the trade would have been virtually impossible due to the spread, commissions charged and stop loss and profit levels being taken. Armed with these facts, Money Back CFDs have a very strong chance of retrieving your funds. 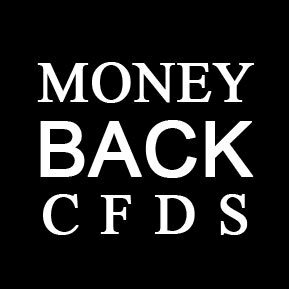 Money Back CFDs have years of experience and knowledge of the industry, and are very well placed to help you. The process is very simple and our team undertake all the work on your behalf. As you will see from our website and client testimonial comments, our team have a solid and consistent track record in recovering your funds. Our process is based on no win no fee, so if you have lost money trading CFDs or placing Spread Bets with an advisory broker in the past, you can now contact us to start the recovery process with nothing to lose. Click here to register with us and start the recovery process. Click here to go to our website for more information.